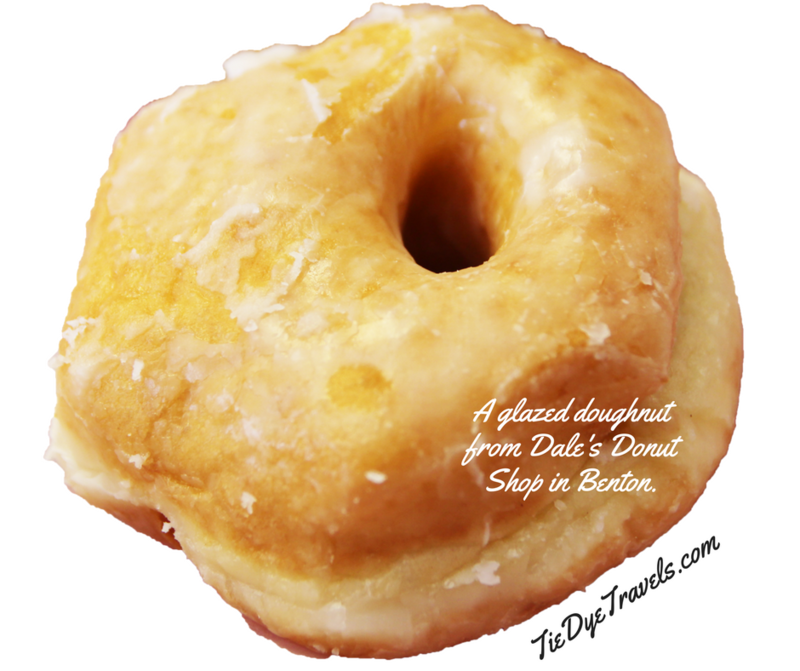 Dale's Donuts Were The First Amazing Thing I Ever Put In My Mouth. We're not talking about as a food writer, or even an adult. My first restaurant food memories are of this little shack on a triangle in Benton, Arkansas, and I still to this day can't walk into the place without overwhelming nostalgia. When talking about classic eateries in Arkansas, Dale's automatically made my list from the start. I didn't have to research how long it'd been around or whether it'd made the crucial 25 year mark. No, no need at all. I can remember Dale's from before I was tall enough to sit at the table properly. It was the mid-70s - maybe 1976. I am suspecting I wasn't quite three. I remember a lot of bunting at that time, and I believe it was close to the Bicentennial. You'll pardon me if my memory isn't perfect on this. I recall leaving the house - it was green - in the early morning hours one Saturday. And I recall getting out of a vehicle. There was light pouring through the windows, partially golden and partially whitish blue from fluorescents. There was a brown building and we went into it. I remember looking into a case and seeing doughnuts, and then sitting at a table in a corner next to the window and watching dawn streak in. Chocolate milk and doughnuts. It became a common thing as I grew, for five or six years of my life, I'm not really sure. I just remember sitting at a table and eating doughnuts and chocolate milk. Vague? Well, what do you expect? I was in single digits. I am surprised I recall even that much, considering I have a hard time remembering what I went to the grocery store any more for. 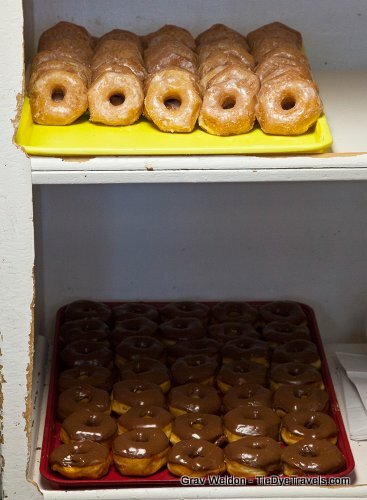 And that's why I have a connundrum about Dale's Donuts. See, if you talk to the folks there, Dale's has been in that spot 28 years. That only puts it at 1989 for starting. Huh. I know it goes back further. Maybe it was another doughnut spot. 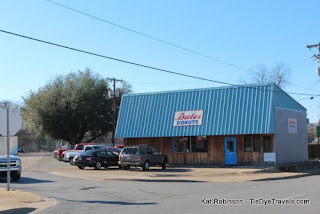 However, I do know for certain Dale's Donuts have been around since before 1989. This ad here talks about the Dale's Donuts location opening in May 1978 - it's from the Benton Courier. 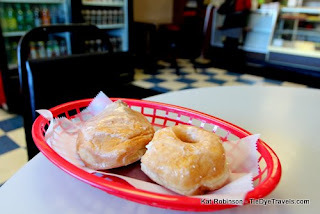 So somewhere in my mind, either I had those doughnuts much later than I expected, ate them at a different doughnut shop in the same location, or had them in Bryant and didn't know the difference. But I am almost certain it was in THAT location. Dale in Dale's Donuts was Dale Atchley. He was a kind man who brought cinnamon rolls and doughnuts to people in different businesses around the area. I have some small memory of what Benton was like in the 1970s and 1980s, and I can remember places like Benton State Bank - where he took his pastries. I also recall with more recent memory a lady who worked in the bakery on Saturday mornings, a sweet woman named Peggy who always complimented me on my hat. 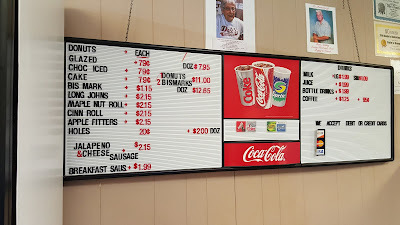 Sadly, Dale's been gone since 2010, and Peggy left us in 2015, so without some deep delving into the phonebooks and some significant interviews I can't put my finger on an exact date when Dale's was formed, I just recall eating doughnuts in this particular establishment on Military Road just south of Alcoa Road. There was a cemetery across Military, and a Sonic. You aren't here for all that, though. 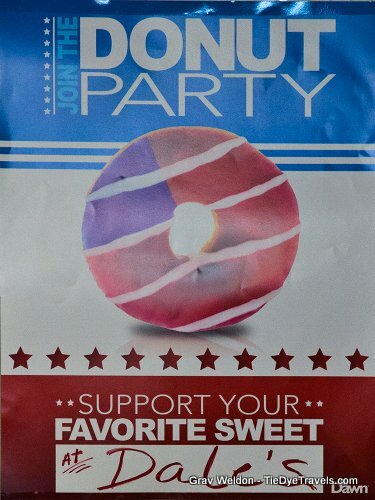 You're here for the doughnuts. Well, Dale's are especially memorable for me, and as blasphemous as this sounds, I prefer them to Mark's Do-Nuts in Levy, I do. I suspect that's because I teethed on these things. 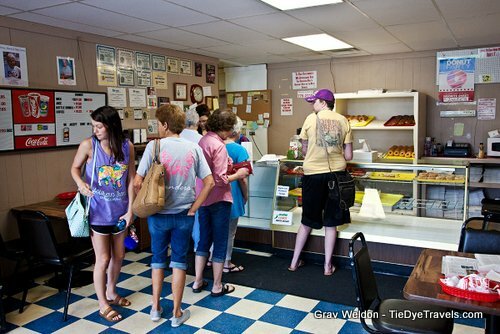 I've been back a few times over these past few years, sharing photos on Instagram and Tumblr and in my 21 Arkansas Doughnuts to Try Before You Die. But I haven't really delved into why these doughnut are so remarkable. Let's look at that, shall we? Let's start with the traditional glazed doughnut. Dale's aren't like what you'll find at Shipley's or Daylight. 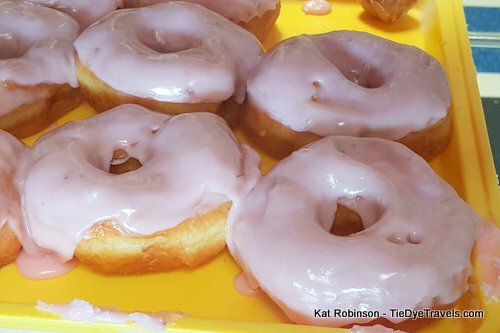 There's a particular beer-y taste to the doughnuts, a little more fermentation in the yeast. It renders the dough itself less sweet and slightly more savory than an oridinary round. 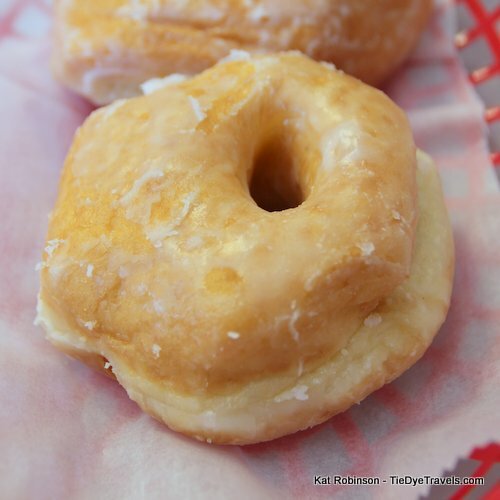 The light crispy glaze brings on the sweet but it does not amp it up too much. This is a dangerous thing, since that means it's easier to consume mass quantities without realizing what you've done. 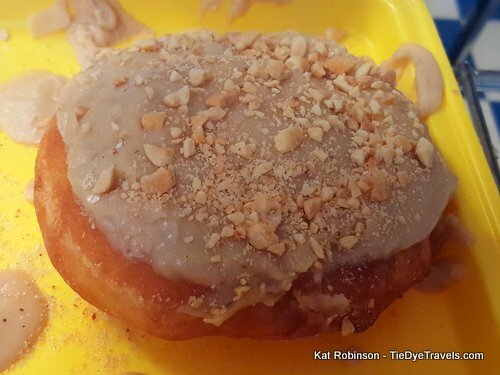 There are then the maple nut doughnuts, a Dale's Donuts specialties. 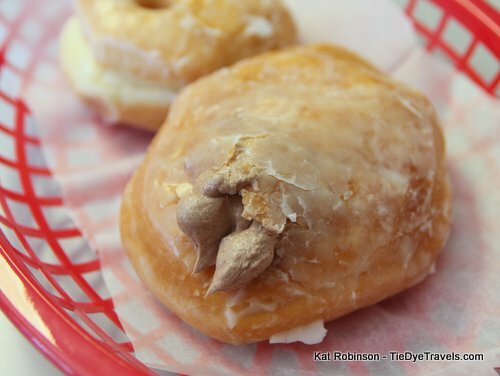 Filled with maple nut cream and topped with maple glaze and crushed peanuts, this is a singular flavor. It's breakfast-y (is that a word? OK, it's a word today) and evokes something between a peanut patty, pancakes with maple syrup and something wearing flannel. There are the strawberry glazed, another Dale's specialty, which tend to go to little girls of all ages. These doughnuts come out sweeter thanks to the thickness of the glaze, but they're cute and with sprinkles they're absolutely adorable. Dale's cinnamon rolls have received much renown over the years, the perfect balance of buttery cinnamon dough, dark fried with a light glaze. They're big and they're pliant and they're perfect with coffee. That's the chocolate fluff. Those with sugar sensitivities beware - this very light, very stuffed doughnut is the bane of your existence. 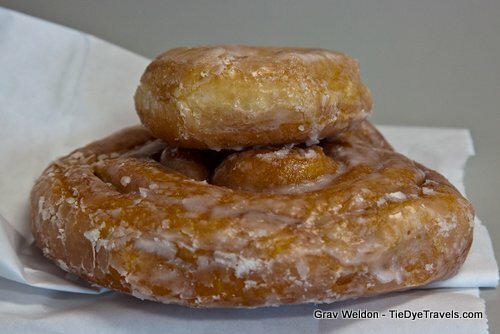 While much air is beaten into the fluff, much fluff is crammed into the doughnut, and the first bite is likely to cause an eruption of cream through the surface. 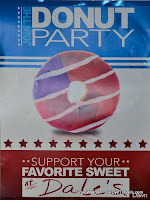 On days I order this doughnut, it is the only one I manage to consume. It is sweet but irresistable, and it is an experience you just have to try. Dale's stays busy the few hours it's open each day. I try to order whatever's just come out of the back - especially chocolate glazed where the chocolate is still slightly runny or the cinnamon rolls when they're steamy when you break into them. Somehow I always feel like I'm on the run when I go, though, so rarely do I get to sit and enjoy them in situ. I'm hoping :I can get more information on the exact start of Dale's Donuts. For now, I have them listed as opening in 1978, but I'm still pretty certain I had them earlier than that. As always, comments and notes are happily accepted. You'll find Dale's Donuts at 919 Military Road in Benton. You can call (501) 776-2710 for more information or check out the Facebook page. Just for reference it is not cash only. Good to know that's changed. Thank you! Dale's son, Joel Atchley, is now the owner. He runs the family business along side his Aunt, Dale's sister, Rhonda. 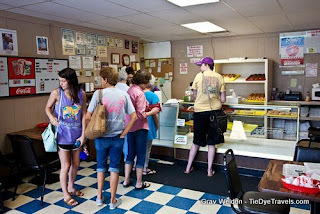 Great family, great donuts, and a great, down home family business!! My first memories of Dales was when they were on the corner of Edison & East St where Bailey motors is now. They have been in the current location for many years, but haven't been there forever. 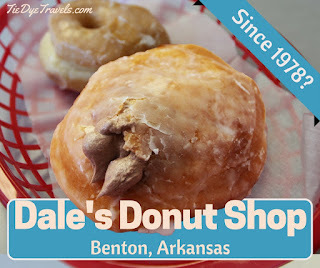 I haven't found a donut that holds a candle to Dales!! I remember when I was 4 maybe 5 I went to preschool in Benton, every morning my dad, uncle, grandma, or grandpa (whoever took me to school that morning ) would always get me dales donut holes and chocolate milk. EVERY MORNING. No matter who took me they always made sure I got donuts. Now that I'm grown and have kids of my own my dad takes them for donuts as often as he can before school or a doctors appointment. It's kinda become a tradition for our family!